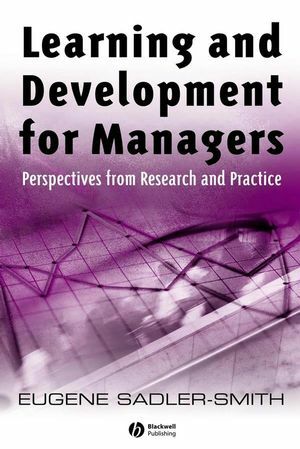 This text describes, analyses and synthesises a wide range of contemporary issues from research and practice in the field of individual and collective workplace learning and development. Enables students and managers of learning and development (L&D) to understand the theory and practice of L&D in organizations. Explores the concept of learning from a variety of perspectives through the use of examples of research and practice from all over the world. Takes a broad view of learning as encompassing both explicit and implicit and individual and collective learning processes. Argues that the practice of L&D should be based upon a rigorous theoretical and empirical base. Each chapter uses synopses of research studies and case studies from businesses to illustrate the most important theories, concepts and models. Lists of key concepts, knowledge outcomes, ‘perspectives from practice’, ‘perspectives from research’, discussion points (for individual or class use), and concept checklists to benefit both students and teachers. Is illustrated throughout with diagrams, tables and ‘L&D facts and figures’. Eugene Sadler-Smith is Professor of Management Development in the School of Management, University of Surrey. After a successful career in human resource development and training he became a university lecturer in 1994. He has a particular interest in managers’ thinking and learning styles and is a member of the editorial advisory boards for The British Journal of Management, International Journal of Management Reviews, Human Resource Development International, and the Journal of European Industrial Training. He has published in the Academy of Management Executive, Journal of Organizational Behaviour and Organization Studies and in a wide range of other academic and practitioner journals. 1. Introduction to Organizational Learning and Development. 2. The Strategic and Organizational Contexts of Learning and Development. 3. Individual Learning and Development. 4. Implicit Learning and Tacit Knowledge. 5. Collective Learning and Development. 6. Planning Learning and Development. 7. Management and Leadership Learning and Development. 8. Technology, Learning and Development. 9. Evaluating Learning and Development.